Product Number: JCSCRORIOur fibre optic kits are perfect for creating your own illuminated walls and.. Product Number: JCSPEGASUSOur fibre optic kits are perfect for creating your own illuminated walls a.. Product Number: JCSSENSKITThis amazing fibre optic sensory kit is perfect for learning purposes and .. Product Number: JCS10WSMDThis fantastic economical SMD flood light is suitable for all external appl.. Product Number: JCS20WSMDThis fantastic economical SMD flood light is suitable for all external appl.. Product Number: JCS30WSMDThis fantastic economical SMD flood light is suitable for all external appl.. Product Number: JCS50WSMDThis fantastic economical SMD flood light is suitable for all external appl.. Product Number: JCSINT75Discover Integral's new outdoor range. Light up the exterior of your home wi.. Product Number: FLU114It’s time to replace your suspended ceiling lighting. But what should you choo.. Product Number: JCSNR65Die Cast Aluminium GU10 IP65 DownlightsBulb not included - Fitting onlyDownli.. Product Number: JCSCNFRSDie Cast Aluminium Tilt GU10 DownlightsBulb not included - Fitting onlyDownl.. Product Number: JCSDNFPressed Steel Tilt GU10 DownlightsBulb not included - Fitting onlyDownlights a.. Product Number: JCSTDNFPressed Steel Tilt GU10 DownlightsBulb not included - Fitting onlyDownlights .. Product Number: JCS21L600mm x 600mm.Recessed modular fitting.Complete with integral emergency power .. Product Number: JCSINT13The Integral LED Outdoor range offers style and substance, with contemporary.. Product Number: JCS1916CHigh frequency recessed modular light fitting.Size: 600mm x 600mmCom.. 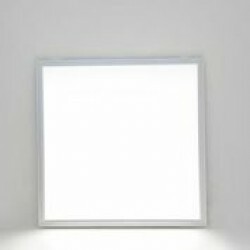 Product Number: JCS076L600mm x 600mm.Complete with 4 lighting tubes.Recessed - flush with ceiling.In.. Product Number: JCS6355This energy efficient integrated 120° downlight brings a modern feel to .. Product Number: JCSINT54Discover Integral's new outdoor range. Light up the exterior of your home wi.. Product Number: JCSINT8Discover Integral's new outdoor range. Light up the exterior of your home wit.. Product Number: JCSINT365Discover Integral's new outdoor range. Light up the exterior of your home w.. If you're planning to install a suspended ceiling then bear in mind the lights on your existing ceiling will be hidden. So if you want to effectively light your room you'll need new suspended ceiling lighting. Fortunately, at Judge Ceiling Systems, we've got your suspended ceiling lighting sorted. Q. Want to reduce the glare on your computer screens? A. Our ceiling lighting diffusers will do that. Q. Want modular lighting systems that sit flush with your suspended ceiling, saving you space and clutter? A. We do those too. Q. Want low energy, high output suspended ceiling lighting that will fill your room with the greatest amount of light at the lowest possible cost? A. Done, done and done. And, since it's Judge, you know we'll do the lot at unbeatable prices. Judge isn't one of the UK’s leading installers of suspended ceilings for nothing. That means, in addition to great products at great prices, when you buy suspended ceiling lighting from Judge you'll also gain access to decades' worth of suspended ceiling know-how. So if you need help or advice on lighting your suspended ceilings, lighting diffusers, replacement tubes or fitting, just call us. We'll have you sorted in no time. And if you'd rather hand installation of your suspended ceiling (and the lighting) over to us we'll do that, wherever you are. Take a look at our range on these pages and order your suspended ceiling lighting online today. Don't forget, if you're in the trade or public sector we'll help you make the budget go further too. Suspended ceiling lighting – trust the Judge.